One of the more interesting developments in the ever-inventive, ever-trendy world of interdisciplinary academic studies over the past several years has been the growth of something called animal studies, which, as you might suspect, is no longer simply the province of zoologists, but seems to be open to almost anyone who wants to jump in the pool. In the literary branch of this field, SF would seem to be fertile ground, and there have already been academic conferences centered on the topic, as well as a couple of provocative books by Sherryl Vint (Animal Alterity) and Bruce Shaw (The Animal Fable in Science Fiction and Fantasy). All this came to mind while reading Kij Johnson’s first major story collection (an earlier e-book, Tales for the Long Rains, appeared in 2001), since two-thirds of the 18 stories in the collection involve animals in some central way – foxes, dogs, monkeys, bees, horses, birds, wolves, and more, if you count the tendrilled alien in ‘‘Spar’’ or the strange critters who inhabit the river of mist in ‘‘The Man Who Bridged the Mist’’. You could probably build a good chunk of an animal-studies classroom course from this book alone. Animals have been a key feature of Johnson’s fiction ever since she received the Crawford Award for The Fox Woman more than a decade ago, a novel expanded from her Sturgeon Award-winning ‘‘Fox Magic’’, which is included here. A lyrical and deeply romantic tale drawn from the kitsune folklore of Japan, this tale of a fox who falls in love with a man and inhabits both the fox and human worlds (where time passes at different rates) also reveals two of Johnson’s other recurring preoccupations, Japanese and Chinese culture and what can best be described as the various mannerisms of storytelling. The former is represented not only by Johnson’s novel Fudoki, but by the related story ‘‘The Cat Who Walked a Thousand Miles’’, a mini-quest epic about a small cat, rendered homeless by an earthquake and fire, who treks the entire length of Japan in search of the home of the Cat From The North. Johnson’s customarily elegant style and matter-of-fact narration keep the story from ever coming close to the Hello Kitty Frodo tale its title would seem to imply. ‘‘Chenting, in the Land of the Dead’’ is a rather slight tale about a dying scholar offered a governorship in the land of the dead, where he awaits his beloved concubine only to suffer the sort of ironic twist which we used to see more from Somerset Maugham than from O. Henry. ‘‘The Empress Jingu Fishes’’, however, is a more complex tale that begins to reveal Johnson’s aforementioned fascination with narrative mannerisms, in this case the manipulation of narrative time. As the empress fishes for trout, she comes to realize that in this moment she is ‘‘divorced from past and future’’, and the events of her life unfold outward in both directions (‘‘eight years ago,’’ ‘‘five months from now,’’ etc.). It’s a sort of trick, but one that works well to reveal the living-in-the-moment sensibility of the character. That story is also a good example, but not the best example here, of the sort of narrative playfulness and sophistication that has brought Johnson such an impressive string of best-of-the-year selections, awards, and nominations over the past few years. Sometimes, as with ‘‘Names for Water’’, she takes an inconsequential tale of a student receiving anonymous phone calls which consist only of a sound of rushing water, then lends it some consequence by (as with the Empress Jingu) simply vaulting it into the future, a technique repeated in the ending of ‘‘The Bitey Cat’’, about a three-year-old’s aggressive pet cat. Both these stories, like many of Johnson’s, are told in present tense, which can make the various time shifts both more emotionally charged and, at times, manipulative. She makes her best use of it in ‘‘26 Monkeys, Also the Abyss’’, which also plays with late-modernist techniques by breaking the story up into Donald Barthelme-like numbered sections. For this much-reprinted World Fantasy winning tale of a woman who buys a disappearing-monkey act, the rather waggish form brilliantly enhances the story’s content. Sometimes Johnson tinkers with what appears to be children’s-book narrations (there’s some of this in ‘‘The Bitey Cat’’ and ‘‘The Cat Who Walked a Thousand Miles’’), but can use it in the service of an unsettling horror story like ‘‘Ponies’’, which reads like the sort of thing that might have happened if Little Golden Books had inadvertently sent a contract to Chuck Palahniuk. Sometimes she plays with folktale protocols, not only in her Japanese stories, but in ‘‘The Evolution of Trickster Tales Among the Dogs of North Park’’, with its surprisingly credible versions of the sly tales that emerge after dogs (and other animals) suddenly gain the power of speech. She uses the form, if not the affect, of erotica in ‘‘Spar’’, in which a woman trapped in a space lifeboat with a wriggly alien spends virtually the entire tale penetrating and being penetrated by it. One of my favorite examples of this sort of narrative playfulness is a story that previously appeared only on Johnson’s website, the full title of which is ‘‘My Wife Being Reincarnated as a Solitaire – Exposition on the flaws in my spouse’s character – The nature of the bird – The possible causes – Her final disposition’’. This parody of 18th-century chapter titles is matched, Laurence Sterne punctuation and all, by the arch voice of a clueless narrator, a shrewd but randy vicar, and a wife transformed into an ugly bird. It’s the funniest story here. But by far the most experimental is ‘‘Story Kit’’, which can best be described as a story about trying to construct a story about Dido, of Aeneid fame, interspersed with fragments of writing-workshop advice on the types of conflict or Damon Knight’s six story types. It’s more curious than engaging, though. The mention of Damon Knight is also a reminder that Johnson knows her way around the more traditional materials of SF as well, and ‘‘The Horse Raiders’’ and ‘‘Dia Chjermin’s Tale’’ are skillful examples using far-future planetary settings. But by far the most effective of Johnson’s tales are those that occupy a kind of liminal space between SF and fantasy. Two of the best here are ‘‘At the Mouth of the River of Bees’’ and ‘‘The Man Who Bridged the Mist’’. The first is about a woman from Seattle who feels compelled to drive eastward with her aging dog after receiving a bee sting and finds her way blocked in Montana by a vast stream of migrating bees. The remote setting would seem to be a good set-up for an SF horror tale, but as the woman determines to trace the river to its mouth, it shifts increasingly into mythic mode, with the dog (another animal, of course) assuming an increasingly important role in what turns, finally, into a love story. ‘‘The Man Who Bridged the Mist’’ is more directly and more conventionally a love story, though with a spectacular setting, which could be either a fantasy world or another planet (it’s easily readable as SF), and with a degree of engineering detail about bridge building that would satisfy a Heinlein reader. A mysterious river of mist, sometimes with caustic properties and with odd creatures inhabiting it, divides the kingdom, and when a bridge builder arrives at a frontier-like settlement called Nearside, his project threatens the livelihood of the woman who operates the local ferry. 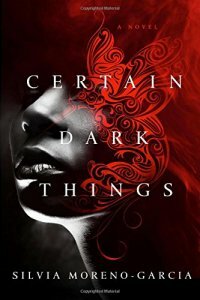 It’s not surprising that it won the Nebula Award and garnered Hugo, Sturgeon, and Locus nominations, since it’s a stunning example of what Johnson does best – using the materials of SF, fantasy, myth, and even romance not as genres to inhabit, but as tools for building or, you could say, as a kind of story kit. (Small Beer 978-1-93152-080-5, $16.00, 304pp, tp) September 2012.